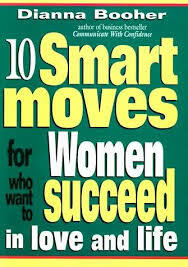 If you’re ready to experience personal satisfaction in your relationships and success in your career, you’re ready for Ten Smart Moves for Women Who Want to Succeed in Love and Life by Dianna Booher. In positive, encouraging words, here are the proven do’s and don’ts that every working woman needs to know. These uniquely focused principles honor the importance of your family’s goals and values and show you how to reach your full potential. Brimming with dozens of real-life examples of successful and satisfied women who work full-time, this intimate guide will boost your spirits while it opens your eyes. Far more motivating and life-changing than a professional success conference, it’s sure to transform your life through the power of smart thinking.